To sum up the general perception of a suit, it’s simplicity crossed with sophistication and minimalism. However, trying on an off-the-rack model brings its complexities right into the limelight. Wearers have to contend with a poor fit that nearly always requires tailoring. Furthermore, what you now own might not be appropriate for every occasion. 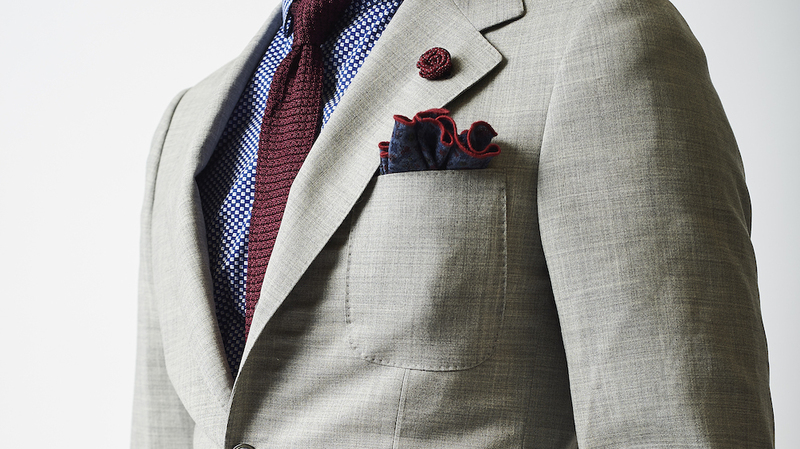 When it comes to suiting, don’t be deceived by appearances. Several rules – both stylistic and social – belie its seeming straightforwardness. Individual features, down to the buttons and cuffs, make or break the fit and overall design. Kipper has decided to put together a Suiting 101 guide, starting with the elements of a two-button notched lapel suit, with a waistcoat and flat-front pants. What we consider the suit today started in the early 19th century. Initial designs geared toward formal, lounge, or business wear featured a jacket, trousers, and a waistcoat all made from the same materials. In present times, though, these would seem fairly opulent, and the modern suit truly materialized following the World Wars. Cultural contexts, material availability, and evolving styles have changed the overall silhouette. Regardless of the decade and trend, no one should settle for a poor fit. In the present, a quality suit features a jacket that sits close to but doesn’t restrict the shoulders, a slim, straight line through the hips and waist, and pants that taper down to the tops of your shoes. Full Canvas: Synonymous with older, high-quality tailoring, this suit adds horsehair canvas under the wool exterior. Although it feels stiff initially, the canvas adjusts to your body’s shape and movements. Half Canvas: The price and amount of work needed may make a full canvas suit less economical. The half-canvas suit has a similar look and feel without the bubbling issues of cheaper, off-the-rack models, and is reasonably priced for the amount of wear it handles. Fused Suit: If it’s off the rack or online, the suit likely has a fused synthetic lining attached to the interior. While the price tends to be lower, so is the quality. The two-button suit jacket is the nearly go-anywhere, do-anything piece. One-button jackets are typically found on tuxedos and other evening suits. You’ll also encounter them on casual, unstructured blazers. A two-button suit jacket gives you a solid option for work, attending formal events and, depending upon how you style it, wearing with your chinos and patterned button-downs for those dressed-up casual occasions. Don’t button up all the buttons, however. In more formal contexts, it’s appropriate to keep the top one buttoned and the lower one undone as you stand. Once you sit, it’s standard to have both unbuttoned. With suit jackets, you have three choices: The notch, the peak, or the shawl. This feature sits right at eye level and is thus the most visible signifier of your suit’s character. Notched lapels are your safest bet. They’re relatively standard in the workplace, look acceptably ordinary in formal settings, and don’t imply you want to one-up someone. A peak lapel, for contrast, points upward toward the shoulders, adding a stronger, angular element. In all cases, the lapels should be mid-width – thinner than 4 inches. and greater than 2.5 inches. The “gorge” – the angle and depth of the opening – should sit at the midpoint between the collar and shoulder, situated along a straight line near your collarbone. Fabric shortages during both World Wars impacted jacket construction. As a result, since the mid-20th century, the single-breasted suit jacket – specifically, two halves that button right in front – turned into the economical choice. It’s fairly prevalent in the boardroom, at weddings, and anywhere you need to dress up. In general, single-breasted, coupled with notched lapels, lays down a solid, reliable foundation. The counterpoint is the double-breasted suit jacket. Aside from seeming slightly retro, it’s also a more advanced piece, with more specific style rules and features. The front typically sports six to eight buttons, peak or shawl lapels, and a double fold. On the Loose Side: The Brooks Brothers look, as it’s occasionally called, harks back to the power suiting of the ‘80s and ‘90s. In a modern context, the extra space takes on a shapeless appearance and may project a dated character. Structured: The structured cut, partially influenced by military uniforms, appears like an angular hourglass, with defined lines, a slimmer waist, and just enough padding at the shoulders. Fitted: While also structured, “fitted” suit jackets – also called “tailored” – have higher armholes and less padding. If you straighten your arms, the suit jacket should fall past your knuckles. Avoid any sagging in back below the waist. With your arms straight, you should be able to cup your fingers right under the sides of the jacket – no stretching down or reaching above. Suit pants are relatively straightforward. Although suiting trends shifted from voluminous and pleated in the ‘80s and ‘90s toward slim and tailored in the ‘00s, a “good fit” ultimately means the pants aren’t pulled tightly around your hips and the fabric doesn’t bag around the ankles. Instead, a pair should hit right at the tops of your shoes, give your legs just enough room to move, and fall just below the waist without any straining or stretching around the hip area. The waistcoat is gaining momentum, beyond period ensembles and vintage suiting. 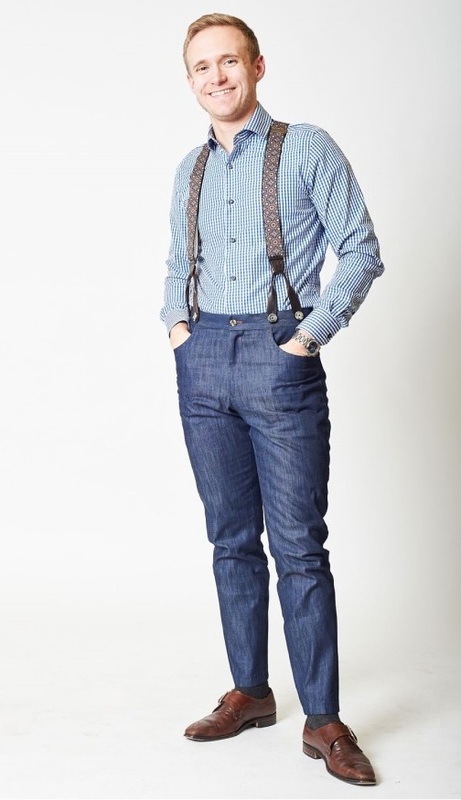 The waistcoat should hit right at the waist – neither above nor below. Look at the shoulders: The armholes should fit close, without any straining around the shoulders. Make sure the material sits right below your shirt’s collar. Think about your shirt. A loose, billowy cut, once tucked into your suit pants, may have a ballooning effect above and below the waistcoat. Your waistcoat and pants should create a clean, straight line – no bulges and without your shirt breaking up the continuity. The vest, when worn with a suit jacket, should form a clear “V” underneath. If it’s not there, the vest is cut too wide, causing the jacket’s lapels to obscure the shape. 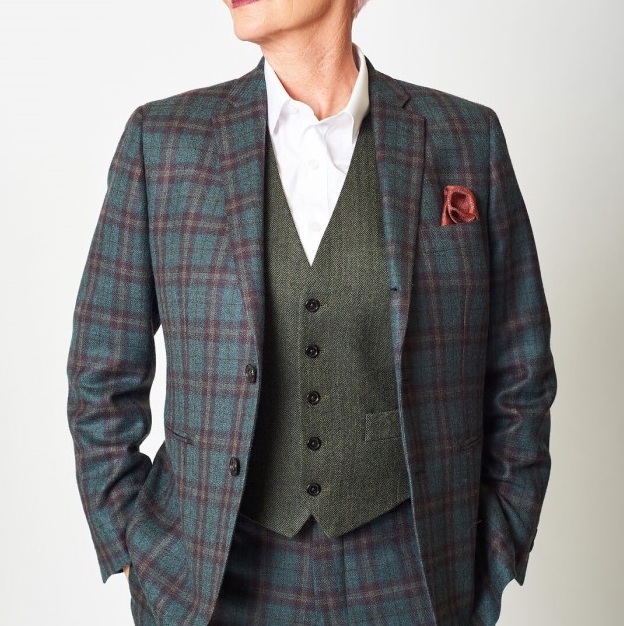 Beyond just the cut, a classic three-piece suit keeps the same material and colors throughout – and, like your jacket, the waistcoat’s bottom button is worn undone. Today, however, a contrasting waistcoat goes a long way, adding that extra “pop” of color to break up the monotony. Kipper’s Classic Collection is a perfect starting point for suiting, offering quality, substantial basics for the beginner that will get you off to a confident start. We’ll give your wardrobe the cornerstone it needs with a two-button notched jacket, flat-front pants, and an optional vest. To begin, set up an appointment to talk with a stylist about our process.